Walking into Ryu Gin you can hear the sweet subtle sound of piano keys making music. To your right there is a very modern and sleek sushi bar, where you can see the chef making his master piece. To the left is where all the tables and booths are, where you can sit and enjoy the ambiance of the new restaurant. Helen Lu, a waitress and hostess, has been in the restaurant business her whole life because her family and ancestors were involved. She knows everything there is to know about sushi, and knew exactly what to say when I asked her what the difference between sushi and sashimi were, “Sushi has the rice underneath the fish. Sashimi is just the fish”. Even for those who do not have a lot of knowledge on sushi, you will know you are getting because the waitress will explain things so that it is very understandable. Lu allowed me to interview her and stated that the restaurant has been doing “Okay. It’s a hard location and people don’t know a lot about us”. Lu explained that the restaurant’s first location, in Beaver, does very well and she is hoping for the same thing to happen in the new Cranberry location. Ryu Gin, which actually means King of Dragon Sea, according to Lu, has been open since July and is very optimistic for the future of the restaurant. The service was excellent and the sushi completely exceeded all expectation. The price was very fair, I bought a sushi regular, which comes with seven pieces of sushi and six California rolls (sliced) all for $14. There could not be a better addition to the Cranberry area. 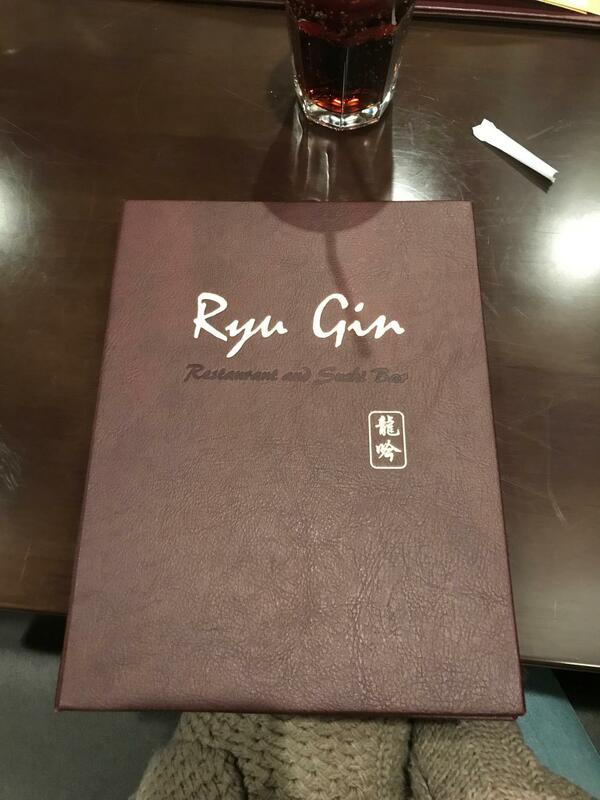 Ryu Gin has everything any sushi lover could ever ask for, good food and good service.